Nicole Lark is an owner and personal trainer for Breathe Fitness. In her role, Lark oversees the operations of the training studio as well as the development and implementation of education for all of its staff. She has spent years training clients ranging from high school and professional athletes to general population of all ages. 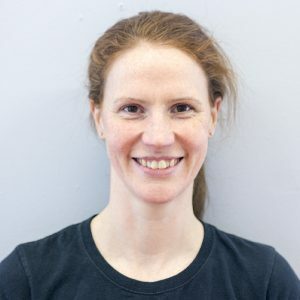 She earned her Bachelor of Human Kinetics from the University of British Columbia, as well as numerous certifications including Certified Strength & Conditioning Coach from the National Strength & Conditioning Association (NSCA), Corrective Exercise Specialist from the National Academy of Sports Medicine (NASM), Master Trainer for TriggerPoint Therapy and Canadian Fitness Education Alliance (CFEA), coaching certifications for ringette and triathlon, and Learning Facilitator designation from the National Coaching Certification Program (NCCP). As well, Lark is a global ambassador for ViPR through FitPro and has over 13 years of experience working both as an educator and personal trainer.